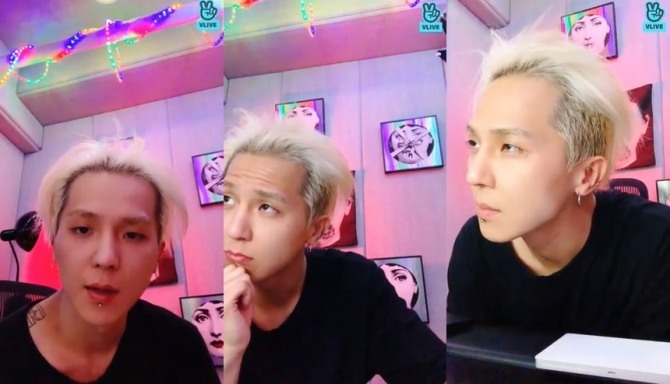 Mino of K-pop quartet Winner went on the V app in the wee hours of Friday. As with previous livestreams, he seemed to care little about being on air, just doing what he was doing -- this time he was working on some tunes and listening to music. “Hello. Have you all had a good rest during the holiday?” he said after a few minutes went by in silence. “I was working,” he added. “Working on what? It could be my solo song or something else. I don’t know. Just doing,” he said. After 22 minutes on air, past 4 a.m., he said good night to viewers, adding that it was time to go to bed. Watch Mino’s broadcast at https://www.vlive.tv/video/112307. 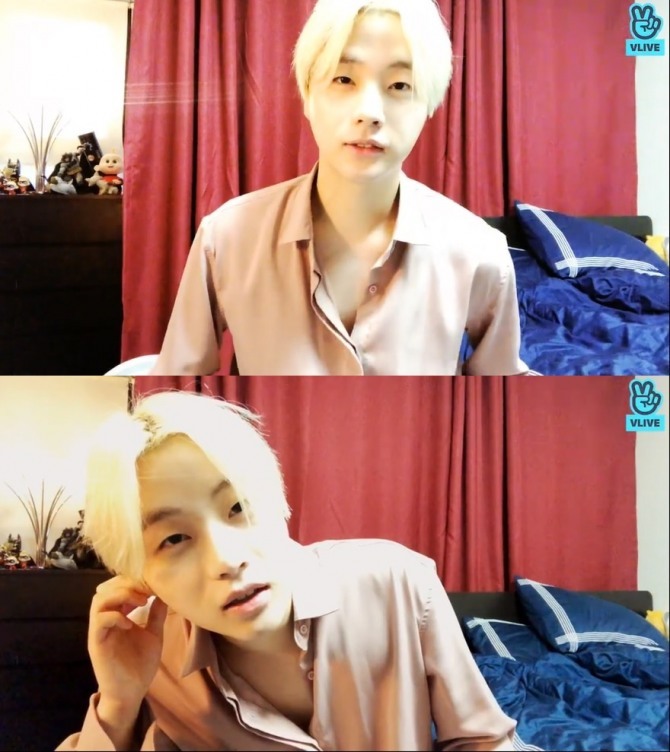 Jay or Kim Jin-hwan of iKon livestreamed from home to mark his 25th birthday Thursday. “From yesterday, I received a lot of texts wishing me happy birthday. While reading those, I almost cried. I thought that I am a lucky person,” he said. He had been home all day resting and had just put on a shirt before going on the V app, added the member of the septet. “I like this -- resting at home,” he said. He talked about a recent trip to Okinawa, Japan, with his family. “I think I was a good boy to my mom. I let her do anything and go anywhere she felt like,” he said. Watch his broadcast at https://www.vlive.tv/video/112256. 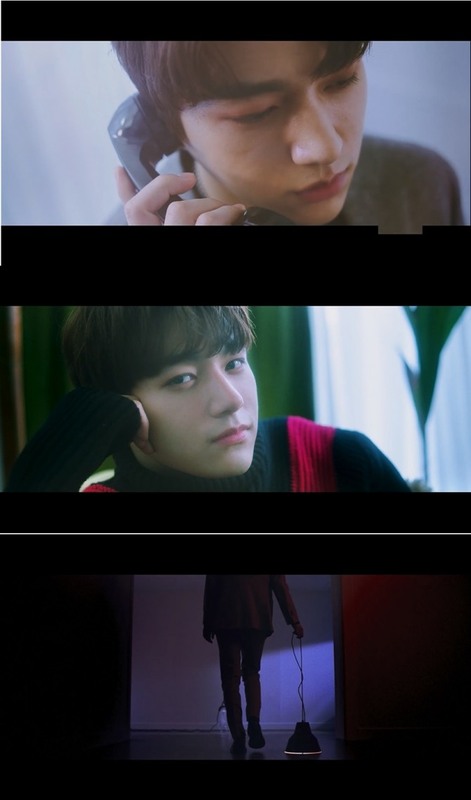 Six-piece boy band Infinite raised anticipation for its single “Clock” with a teaser video released via V Live on Thursday. The 35-second video, titled the “Clock teaser (short version),” showed the members with a telephone, trying to get hold of someone. Slated for release Wednesday, “Clock” will mark the group’s return to the K-pop scene as a five-piece act without Sunggyu, as he is currently serving in the military. Watch the teaser at https://www.vlive.tv/video/112240.